Helsinki Airport, officially Helsinki-Vantaa Airport, is the main international gateway to Finland. Operated by Finavia, the airport is situated in the city of Vantaa. Approximately 90% of the country’s international air traffic passes through Helsinki Airport. Helsinki-Vantaa Airport boasts the stunning average of handling around 350 departures per day. In 2017, 17.2 million passengers passed through the airport. Helsinki Airport (IATA code: HEL) is the busiest airport in Finland and the main hub for Finnair. Flights to Helsinki-Vantaa Airport are available from international airlines such as British Airways, Qatar Airways and Aeroflot. HEL is a 30-minute train ride or a 35-minute drive from the city centre of Helsinki. Book your cheap flights to and from Helsinki Airport online! Get ready for the pre-holiday experience by passing through Helsinki Airport. Situated in the city of Vantaa, it puts you close to Finland’s capital, Helsinki, as well as the scenic coast of the country. Besides being the main hub for Finnair, HEL is additionally an operating base for Norwegian Air Shuttle and Primera Air. Helsinki-Vantaa Airport schedules flights to 80 destinations in Europe, and offers 21 direct long-haul flights to Asia, the Middle East and North America. The airport offers one of the shortest transit times in Europe, at 35 minutes! This is thanks to Finravia’s commitment to providing travellers with quick transit times and cost-effective turnaround times. Add that to the airport’s numerous services and facilities, it’s no surprise that in 2013, Skytrax World Airport Ranking named HEL as the best airport in Northern Europe. Should you have some time before your next flight at Helsinki Airport, take the opportunity to treat yourself to a variety of scrumptious foods and refreshing beverages at numerous cafés, bars, and restaurants. Helsinki-Vantaa Airport additionally includes a large number of retail outlets. Discover a variety of products at these many shops, including souvenirs, gifts, books, journals, fashion and jewellery. 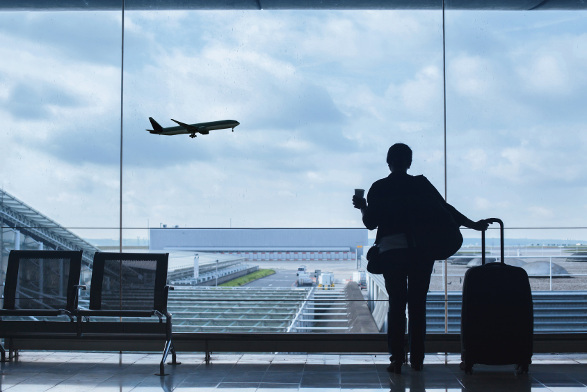 For your convenience, the airport furthermore comprises of establishments that sell duty-free products, including cosmetics, alcohol, sweets and tobacco. Helsinki Airport is home to 5 lounges, namely 2 Finnair Lounges (one in the Schengen area and one in the non-Schengen area), the ASPIRE lounge by Swissport (in the Schengen area on the 3rd floor), the Almost @Home Lounge (in the non-Schengen area) and the SAS Lounge (in Port 13). The Finnair Lounges are available free of charge for Finnair business class passengers, Finnair Plus Platinum and Gold members, as well as Oneworld card holders. The Finnair Premium Lounge is only available for Finnair Plus Platinum members, Finnair Plus Gold members, and for Oneworld Emerald and Sapphire card holders. The ASPIRE lounge by Swissport is available to all passengers. You can pay the admission fee, or purchase the Diners Club, Priority Pass, Airport Angel or airline’s loyalty card. The Almost @Home Lounge is open to all passengers upon paying the admission fee. The SAS Lounge is open to Star Alliance Gold members, SAS EuroBonus Pandion members, SAS Plus members, as well as SAS Business class passengers. GLO Hotel Helsinki Airport This cosy 3.5-star hotel is situated in Terminal 2 of Helsinki Airport. It is home to features such as breakfast, restaurant, bar/lounge, 24-hour fitness centre, 24-hour business centre, air conditioning, computer station, as well as conference space. Free Wi-Fi is available as well. Break Sokos Hotel Flamingo This stunning 4-star hotel in Vantaa is a 9-minute drive from Helsinki-Vantaa Airport. Amenities consist of a water park, spa services, 12 meeting rooms, 24-hour front desk, air conditioning, computer station, restaurant and bar/lounge. This accommodation package includes free breakfast, free Wi-Fi and free parking. Hotel Kamp This elegant 5-star luxury hotel, situated near Ateneum Art Museum, is a 30-minute drive from the airport. This establishment offers a holiday package that includes a health club, breakfast, valet parking, business centre, limo/town car service, childcare, terrace, 2 restaurants, 2 bars/lounges and 24-hour front desk. Free Wi-Fi is also available. Foreign exchange can be ordered as early as 60 days before collecting. You can make your orders and collect it in person in South Africa. Alternatively, you can buy currency on Helsinki Airport’s website, and collect at the airport service point. ChangeGroup outlets are available in Port 15, Port 32, Incoming Lounge 2A, Incoming Lounge 2B, T2 check-in board, and Gate 26. Helsinki-Vantaa Airport offers numerous parking spots. There are additional parking spaces for electric cars and passengers with disabilities. A free bus service is available to transport you to and from the terminals. To ensure you get a parking spot during peak hours, you can reserve a parking space on the airport’s website. When reserving a space online, you can furthermore book a Premium security control or car wash.
Helsinki-Vantaa Airport is situated 17 km north of central Helsinki. Trains, buses, taxis, car rentals and Uber are available to transport you from the airport to your destination.